This text offers a collection of survey and research papers by leading specialists in the field documenting the current understanding of higher dimensional varieties. Recently, it has become clear that ideas from many branches of mathematics can be successfully employed in the study of rational and integral points. 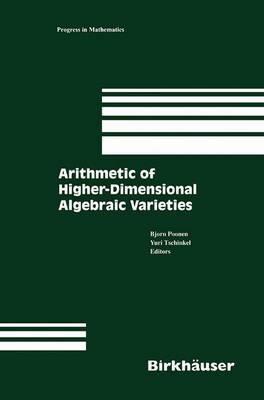 This book will be very valuable for researchers from these various fields who have an interest in arithmetic applications, specialists in arithmetic geometry itself, and graduate students wishing to pursue research in this area. "These articles which are written by leading experts make interesting reading and also give the non expert reader an idea of the subject. In addition there is an extensive index covering the entire volume and a glossary of important notions. In particular readers who are not specialists in the field may find this very helpful."